Doggy Bloggy at Chez what has kindly asked me to host this weeks BSI: Blogger Secret Assignment. After racking my brain about what the ingredient should be, I finally came to a decision — my favorite cheese of course, feta! Did you know that feta means 'slice' in Greek? Neither did I! It is a very versatile cheese that can be used in a variety of ways, crumbled or melted. I chose to crumble mine on top of balsamic dressed caramelized onions served in a puff pastry shell. You get the best of both worlds from the sweetness of the caramelized onions and the salty tang from the cool feta cheese and of course the added flaky crunch of the pastry puff. It is a utopia of flavors! 2 Heat some olive oil in a pan and caramelize the onion slices for about 30 minutes over low heat until golden brown, not charred. 3 While the onions are caramelizing, thaw the puff pastry and bake for 15-17 minutes. 4 Add 1-2 tablespoons balsamic vinegar to the onions and cook an additional 5-10 minutes. 5 When the pastries are puffed up and ready,layer the the shell with a bit of feta, then add a layer of onions, then top with more feta. Add a sprig of mint. I can't wait to see what everyone comes up with!! All you have to do is create a recipe using feta, link back to this post, and either leave a comment here with a url of your feta post, or email me directly at znachman@gmail.com. Deadline is Sunday, July 12. **Updated: There will be a prize! Hi! I'm here from Chezwhat's blog, and I'm glad I discovered you because your blog is beautiful! You've got some yummy stuff here. I'm going to be racking my brain for feta ideas! That pastry is pretty. I can almost smell those caramelized onions..
oh,and I have an award for you at my blog.. But I might send in another one! I'm a big fan of feta cheese, so your recipe just makes me drool! Very appetizing! Wow thats a grt choice, let me see if i can come up with something new! Great recipe - love the photos. I think feta would have been a great choice, hopefully some great recipes using feta are posted. 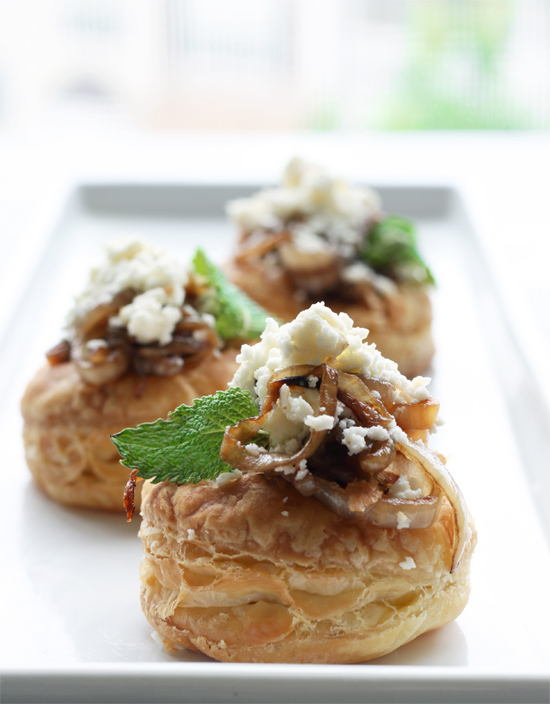 Scrumptious puffs with feta! Great choice for BSI! Love those puffs! How yummy and elegant! I love feta cheese. Your puffs look great. A combo made in heaven! Your puffs are gorgeous! Great pick of secret ingredient! I love that you selected feta. I have two recipes, I wanted to play around with and they both call for feta. I also have two packages of feta, one soft and one in a block which I have never seen before. Curious, what's the prize? The BSI host also provides a prize for the winner. Usually something small under 15 bucks or so. Thanks! Oh and feta may be the best pick yet! I love feta. Gorgeous photos....I am always looking for great appetizer recipes. Delicious! Looks like I dropped by just in time for some gorgeous looking stuffed puffs. 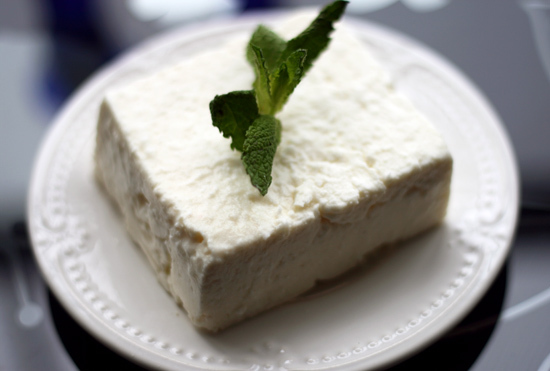 I adore Feta cheese and must save this easy recipe for the near future. Thanks for sharing Zoe, bookmarked!!! Yum! I love feta, and these look delicious. Feta is one of my favorite cheeses - these look delicious! confession: feta is NOT a favorite of mine. however, combined with some amazing puff pastry and the delight that is the caramelized onion, i may change my tune! I am being so lame this week. I'm just now getting over here to see what your secret ingredient is. Feta is a fabulous choice! Thanks for dropping by my blog and your comment! What a beautiful blog you have! I will be visting frequently from now on!! I'm totally entering! With...(drumroll)... Strawberry and feta salad! If folks hurry and you're in the right part of the country, you can still snap up some fresh local strawberries for it. Thanks to Christo for introducing me to such a beautiful blog! I love feta. I had fun cooking and eating it. Here it is. When I posted, something happened to my photos - they disappeared. There is one left and that will have to be it. I spent a long time uploading and I do not have that time to do it again. The photo is the finished product. I want that block of feta! So good the kids and I just LOVE it! The pictures aren't too great, but I hope you enjoy! Not sure how often you check older posts, but I'd love to know how many servings your recipe makes, as written. Thanks!